According to the New York Department of City Planning, more than 6% of the city’s land is vacant, adding up to approximately 11,700 acres of underutilized land. Many of these lots are plagued with contaminated soil as a result of previous constructions and industrial uses. To educate property owners about how they can initiate cost-effective toxic clean up, architect and planner Kaja Kühl created the Field Guide to Phytoremediation, a do- you-it-yourself (DIY) handbook that is available online and as a downloadable pamphlet. 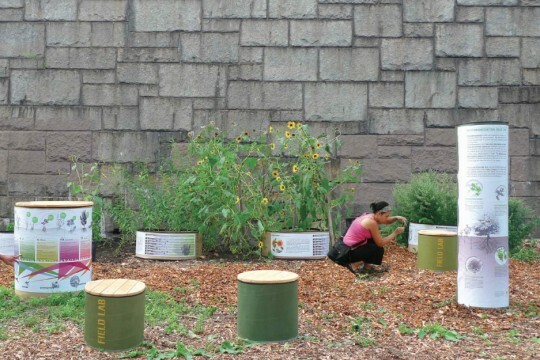 She also launched the Field Lab, an experimental garden in the South Bronx where she tests and demonstrates DIY brownfield remediation techniques to citizens.